Experience-developed dark fantasy dungeon RPG headed westward. NIS America is bringing the Experience-developed dungeon RPG Stranger of Sword City to PS Vita both physically and digitally in North America on March 22, 2016 and in Europe on March 25, the publisher announced. The dungeon RPG from the makers of Demon Gaze takes a more western approach, infusing the game with themes of dark fantasy, new elements, and the ability to compete with other players through online leaderboards. It is a game about death and disappearance where the choices you make have meaning. 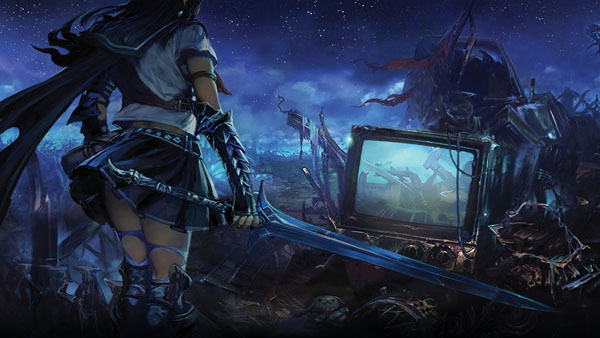 Competition in the Dungeon – Unlike most dungeon RPGs, Stranger of Sword City won’t leave you as a stranger among your peers. Online leaderboards will allow you to finally compete with your friends, and strangers across the world to display your dominance in everything from the best gear, to the fastest clear time. Overwhelming Art – Fantasy is created by visuals and music as much as by story. In this title, the breathtaking art throughout your travels, and abundance of character portraits available for creating your perfect party will allow you to be truly transported into the magic of Sword City.